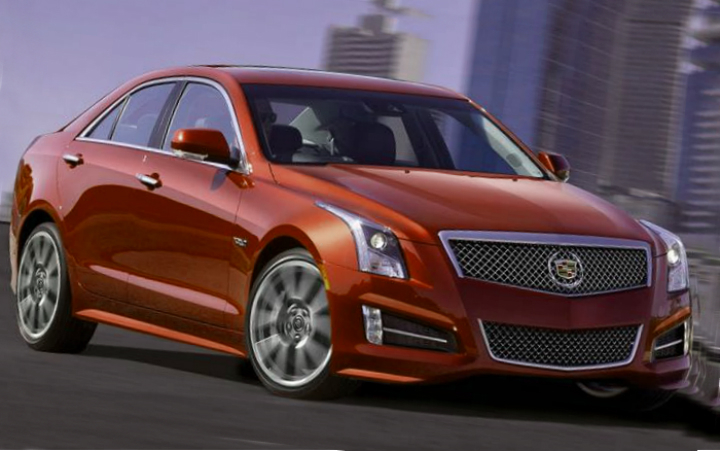 The luxury carmaker Cadillac is working on its new ATS-V that is planned to join the models the new ATS-V coupe and the CST-V.
Next year, the auto manufacturer plans to produce both sedan and the coupe as models of 2016. Both models are similar but the coupe variant will have two doors and wider than the present ATS coupe model. The Cadillac’s novelty is planned to be equipped with the 3.6-liter V8 twin turbocharged engine, which is able to produce the output of about 425 horsepower, similar to the output of the BMW M3 and M4 but less than the Lexus RC F.
The Cadillac ATS-V will get the standard seven-speed manual gearbox. The eight-speed automatic transmission is available as an option. The exterior of the novelty includes the aggressive front part of the car and the new grille. The car gets four big exhaust pipes and steel brake discs. At the back, there is a new spoiler located on the trunk. Currently, the carmaker has not announced prices for the novelty, but we are sure that the coupe version will have a higher price than the sedan variant.